In April 2015, the community of Lwazi Park embarked on a four-week design studio that investigated affordable solutions for incrementally improving dwelling structures in the settlement. 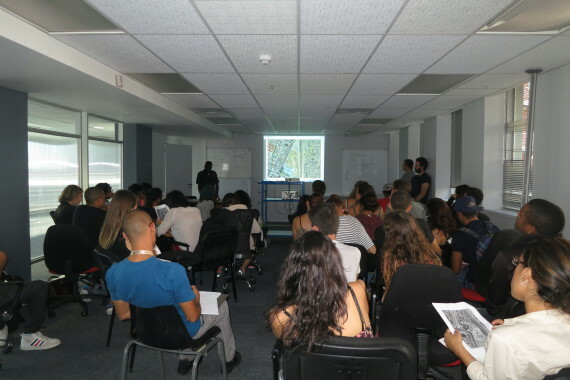 Through its affiliation to the Informal Settlement Network (ISN) and Community Organisation Resource Centre (CORC), the community partnered with fourth year students of Architectural Technology from the Cape Peninsula University of Technology (CPUT) as well as a visiting group of students from the Reunion Island arm of the Ecolé National Superier d’Architecture Montpellier (ENSAM). 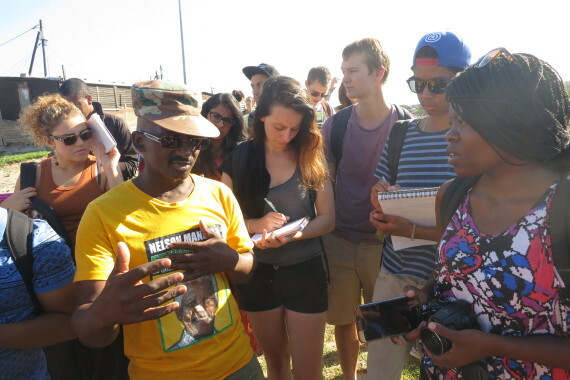 CPUT & Reunion Students visit Lwazi Park. Lwazi Park is situated in Gugulethu, near the N2 freeway in Cape Town. The settlement is now home to thirty-eight households and a primary school adjacent to the area. Its first inhabitants are alleged to have occupied the space in the mid- 1990s, when they built informal dwellings near the Lotus River. In 2001 the informal settlement stretched from Klipfontein Road up to the Eastern edge of Gugulethu. Lwazi Park is characterized by canals that were built fifty years ago, with the purpose of draining the flood plains for communities who were forcibly removed from the city centre during the apartheid era. Today, these canals are polluted and flood every rainy season. 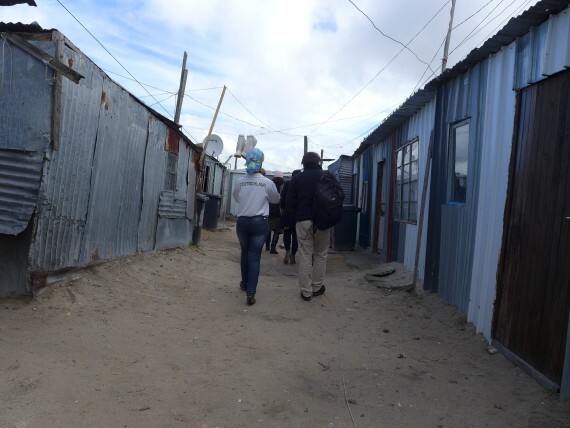 The relationship between Lwazi Park community and the SA SDI Alliance dates to 2011, when the community, Alliance and City of Cape Town began to address a pending relocation of the informal settlement. Click here for more background. CPUT’s architectural technology students first participated in joint design studios with ISN & CORC in 2011 working on subsequent collaborative design in Vygieskraal and Manenberg. The 2015 Lwazi Park studio was convened as a response to the community’s desire to explore options for further in situ upgrading after re-blocking in 2011. This is one of the first Alliance studios focused on incremental housing typologies for a settlement that has already undergone re-blocking. The studio thus reflects the incremental and cumulative nature of informal settlement upgrading. Perhaps even more significantly it speaks to a context-specific and community-centred approach. In this sense collaborative design studios generate ideas and debate on alternative housing design and delivery options that address residential environments within existing and challenging urban conditions. 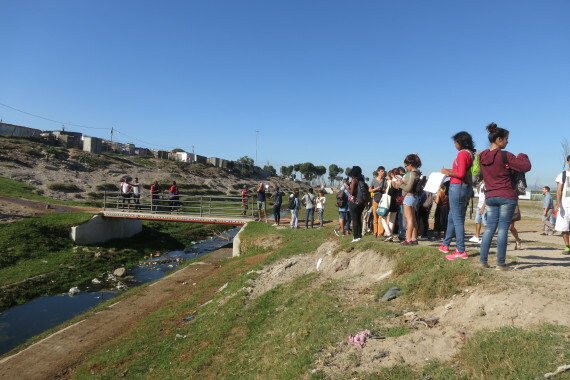 In practice, the studio comprised a site visit to Lwazi Park and two collaborative design instances between community representatives, students and Alliance representatives (ISN & CORC) who provided social support and facilitation. The students were tasked to develop a spatial development/master plan for the settlement’s in-situ upgrading to two to three story residential buildings as well as housing typologies that would respond to the social needs and spatial context of Lwazi Park community. Lwazi Park community leader engages students around their questions. 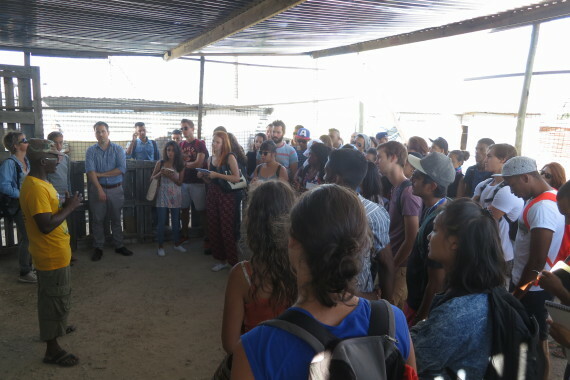 During the site visit community members introduced students to the physical layout and context of their settlement, lived realities, daily challenges and needs. These include the lack of a multipurpose / community hall or a nearby school. A central concern was the lack of funding provided by the city to help improve the standard of living. The community also expressed a desire for a safe place for their children to play in. A further concern related to drug abuse by the youth and the unsettling rate of crime. “Their [the students’] point of departure was the community representatives’ assertion that they were set on obtaining tenure security and upgrading their settlement. 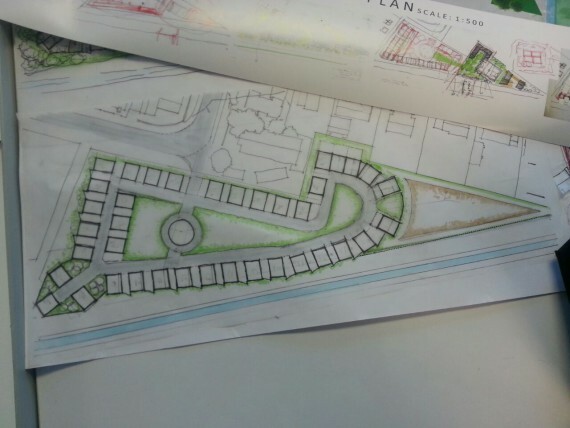 Having had to adjust their approach based on the input received (albeit not representative of the entire community’s wishes) the complexity of balancing the community’s needs with your own design intent became clear”. 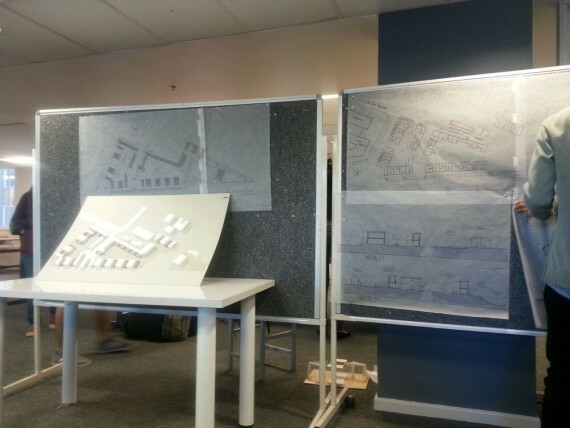 CPUT-based studio with input by community representatives, ISN & CORC. For both the students and the Alliance a core challenge was experienced by the lacking attendance of enough community representatives in campus-based contact sessions. The students gained some community input during the site visit, which helped to contextualize and ground their work. The lack of community representation, however, speaks to a need for more social facilitation between the different actors involved so that the jointly designed plans can indeed be presented to the municipality. CPUT quotations taken from “Perold.R., Devish, O., Verbeeck, G. 2015. Informal Capacities: Broadening Design Practice to Support Community –Driven Transitions to Sustainable Urbanism. Working Paper.